Looking for a straight answer from MBIE’s Tenancy Compliance and Investigation Team? If you are a landlord, don’t expect too much clarity. It seemed like a pretty straight-forward question: Does the Tenancy Compliance and Investigation Team (or TCIT as they now call themselves) deal with complaints from landlords as well as tenants? But, after multiple exchanges with TCIT on the topic, I’m still not entirely sure of the answer. My initial query was prompted by a colleague’s report back from the NZ Property Investors Federation conference back in October. He attended an MBIE session which touched on the work of TCIT. He was surprised to hear that TCIT, which has been around for just over two years, has done over 900 interventions – and was keen to find out more about what they are doing. TCIT was happy to supply me with data on this. It turns out the team have indeed been busy since they were established in July 2016. Over the period 1 July 2016 – 30 June 2018, TCIT took on 910 cases. Of these, 766 have been closed and 439 of them had outcomes recorded relating to established breaches of the Residential Tenancies Act (RTA). Of the remaining cases, 116 were closed where either no substantive breach was established by TCIT, no intervention was required, files were merged, or the matter was referred to another regulatory agency. Under the RTA, the team can initiate Tenancy Tribunal proceedings and has done so on a number of occasions where harm was evident. To date, 10 groups of applications involving 181 separate tenancies have been lodged by TCIT, with over $127,300 in awards being made. Further applications have their hearings or outcomes pending. TCIT acting national manager Peter Hackshaw says the team is focused on ensuring compliance with tenancy standards by engaging in appropriate enforcement activities where non-compliant behaviour is identified. Hackshaw says they consider all interactions and complaints made to TCIT but the tenancy relationship between landlords and tenants is like any other consumer transaction. “As the supplier of the service, it is the onus of the landlord to provide and maintain a product that is fit for purpose in according to the obligations placed on them. That left me wondering whether the team had received any complaints from landlords and, if so, how they had been dealt with. Hackshaw says they have had complaints from landlords, but they were passed on to the Tenancy Advice Team. This is to ensure the landlord gets the right information to engage in the most effective self-guided dispute resolution pathway, he says. But he was unable to provide me with any statistics on how many landlord complaints the team had received. That’s because if a complaint is directed to another part of Tenancy Services, or another agency, they don’t record if the complainant is a landlord or a tenant. Additionally, Hackshaw says that if a landlord has concerns about the actions or behaviours of their tenant/s, they should raise their concerns with the tenant/s directly and ask them to address the issue. This all left me with the impression that TCIT itself doesn't deal with complaints from landlords, rather it passes them on to another part of Tenancy Services, or other agencies. Requests for clarification on this garnered similar responses to those already received. And they left me none the wiser on whether or not a landlords complaint would, or could, be dealt with by TCIT itself – even if the complaint involved behaviour by tenants that was resulting in their property being in breach of the RTA or endangering the health and safety of other tenants. Hackshaw says that TCIT is just one part of the regulatory system administered by the Housing and Tenancy Branch and that it provides a wide range of assistance for both landlords and tenants. 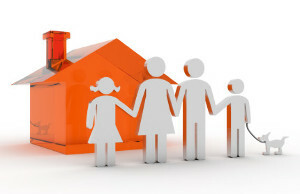 Landlord groups have generally been very supportive of the team’s desire to see a lift in the performance of landlords and to hold those who damage the reputation of landlords to account, he adds. I have no doubt that’s true – just as I have no doubt that the work of TCIT is necessary and valuable. But I’m still don’t know whether the team itself would take on, and actively pursue enforcement activities in relation to, a complaint from a landlord.